This picture is work done by our very own Firestop of Virginia crew at Washington & Lee. 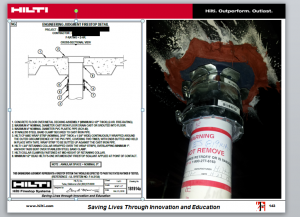 Hilti is using our work to show how to properly install an Engineering Judgement. We thank Hilti for selecting and recognizing our hard work.